In a saucepan heat butter over very low heat, and let it completely melt. Let it simmer until the foam rises to the top of the melted butter; it may splutter a bit, watch out! Once the butter stops spluttering, and no more foam seems to be rising to the surface, remove from heat and skim off the foam with a spoon. Line a mesh strainer with a few layers of cheesecloth or gauze or cotton muslin, and set the strainer over a heatproof container. Carefully pour the warm butter through the strainer, leaving behind any solids from the bottom of the pan. 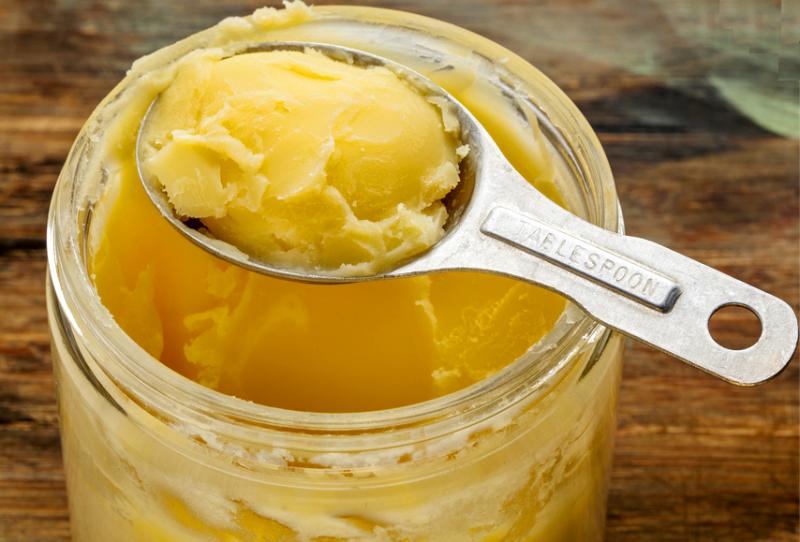 You can keep the clarified butter up to 3 to 6 months in the fridge.